The two main monsoon seasons in Malaysia are the Northeast Monsoon and the Southwest Monsoon Season. In between the two monsoon there are two short inter-monsoon periods which are the Pre South-West Monsoon and Pre North-East Monsoon. The monsoon that affects the living of the Peninsular Malaysia east coast, particularly those in the fishing industry is mainly the Northeast Monsoon which will bring strong wind and rainfall from November to January. Northeast Monsoon season is characterized by constant winds that blow from the northeast. It is associated with the development of the Siberian High which is a massive collection of cold dry air on the Eurasian terrain and the movement of the heating maxima from the Northern Hemisphere to the Southern Hemisphere. Northeasterly winds flow down Southeast Asia with wind speeds reaching as high as 30 to 40 km/hr. During the season, the states in the east coast of Peninsular Malaysia, coastal areas of Sarawak and Sabah will experience episodes of heavy rain continued for a total of two to three days due to monsoon surges. In the case of extreme weather,the whole episode of heavy rain can last for three to eight days, and may cause flood. However, there are usually several days of good weather that is either with no rain or little rain that occur between the heavy rainfall episodes. The northeast monsoon causes most of the Peninsular east coast fishermen not able to continue fishing. Many fishermen will start to face with monetary issues and turn to the middleman for loan. The fisherman in Tanjung Leman is a little more lucky because their fishing area is located behind the Seribuat islands. There are some days that strong wind and thunderstorm will disrupt their fishing routine but they will still be able to fish during the season. The monsoon season also changes the species of fish caught by the fishermen in the east coast. During the beginning of the season, fish species from the mackerel and threadfin family will be abundant. 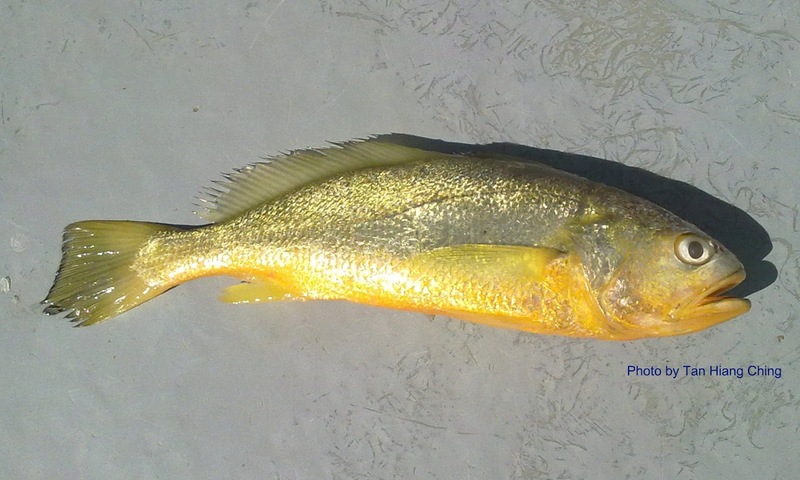 The highly sought after Yellow Croaker that is gold in color is one of the species that can only be found during Northeast Monsoon. Spiny lobster will also move in nearer to shore and become abundant. Grouper on another hand will become scarce as they move further out into the sea.